CLICK here for an excerpt from the book (1999) (size: 29,7 x 21 cm / 11.7 x 8.3 inches). CLICK here for the poster (with the book of 1999) (size: 59 x 41 cm / 23.2 x 16.1 inches). 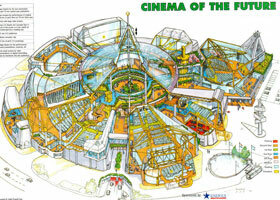 "Film Presentation for the 21st Century"
(large size: 42 x 30 cm / 16.5 x 11.5 inches). 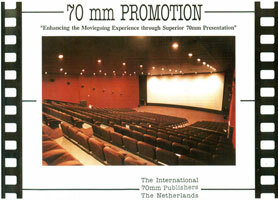 Book (1996) about 70mm film and promotion. First publication from 1996 (28 pages). Now a collectors item! 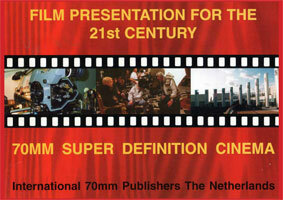 Book + poster (1999) about 70mm film and presentation.